Just hear those sleigh bells jingle-ing, ring-ting-tingle-ing, too. Come on it is lovely weather for . . . I know this might sound corny, but the sound of sleigh bells brings back boyhood memories, not of winter, but of summer and my dad. 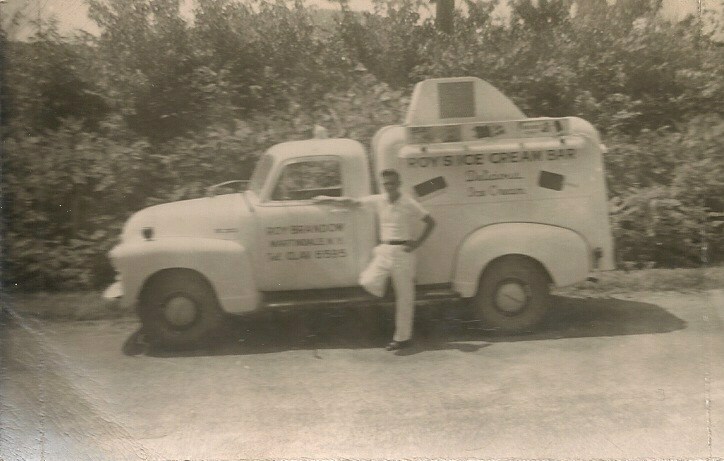 My father was an ice cream man. He had his own truck, and instead of the annoying tune, “Pop Goes the Weasel,” repeated over and over and over again, he let the children know he was in their neighborhood by pulling a wire to ring sleigh bells. On the days I got to ride shotgun with my father, I rang the bells! My pay – an ice cream bar of my choice! He bought his first truck when I was born and sold the business when I was 17. It was a seasonal business. 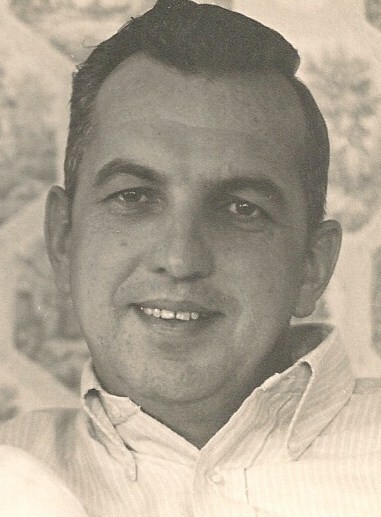 My dad would start in mid-April and go to mid-October, work 12 hours a day, seven days a week. There was no day off during the season, but when the season ended, we would winter in Ft Lauderdale, Florida. He sold ice cream in Hudson and Philmont, NY, at little league baseball games, parades, factories, schools, state parks (Taconic State Park and Rudd Pond), and summer cottages of Copake Lake. He was every boy’s and girl’s favorite person, sort of like a summer Santa. They would wait for him with their nickels and dimes. Sometimes little kids would actually jump up and down with glee. One of those little boys is no longer little. Gerry Minkler, a long-time Galway resident, got a kick out of the fact that I was Roy Brandow’s son. He lived in Philmont, the boyhood home of Ollie North, when he was known as Larry (Oliver Lawrence North). My family lived in the countryside just 4 miles outside of Philmont. What a small world! One last item of note: Do you like Life in Galway? After seeing the first two issues, my father contributed a significant amount to defray the cost of printing them. Thanks Dad! He wanted to see this get off the ground and not come to an end due to a lack of funds. We are distributing each issue free, but if you would like to help with the future costs of printing, send your check to Bible Baptist Church of Galway, PO Box 112, Galway, NY 12074, and designate it for Life in Galway printing. I’m Proud to Be Your Son!